I love a good crispy, fried fish but not the fat and calories from frying. 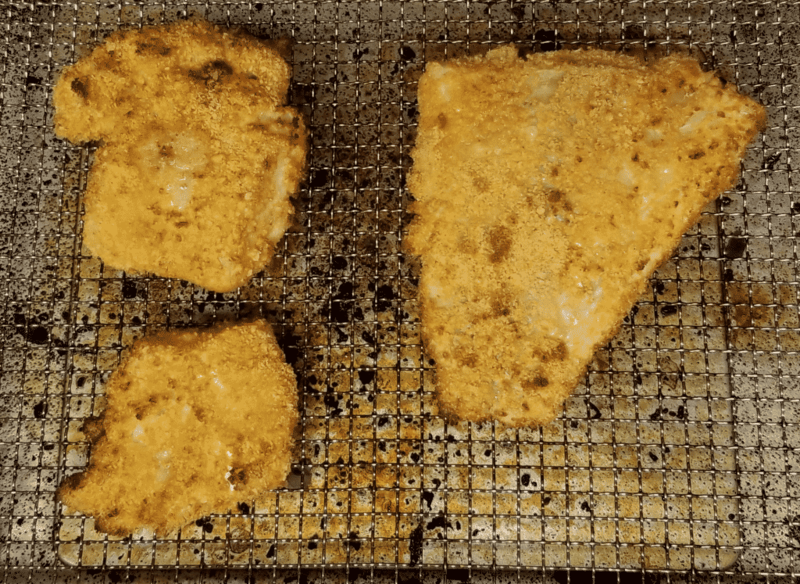 This oven baked fried fish recipe offers the best of both worlds. 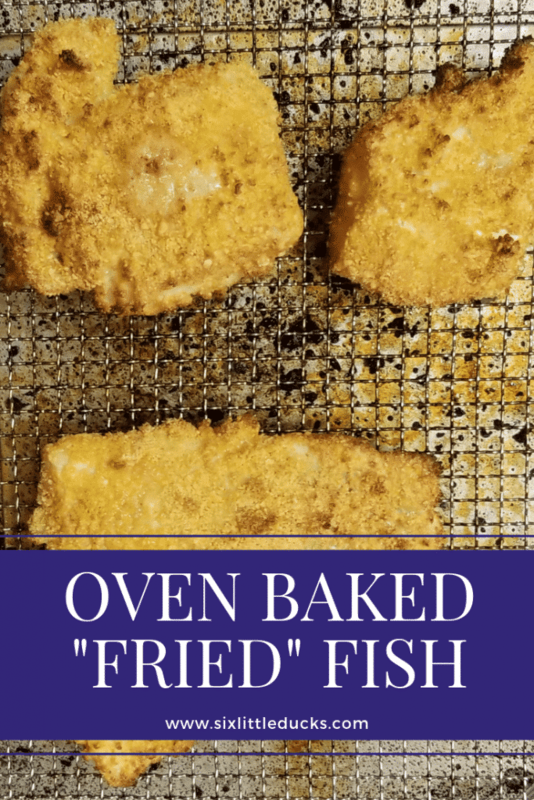 You get the crispy “fried” texture of the breading with an oven baked cooking style. No oil used! I love this recipe and often pair it with Oven Baked Onion Rings (another favorite in my household). I also recommend cooking this fish in either a convection oven or using an air fryer. 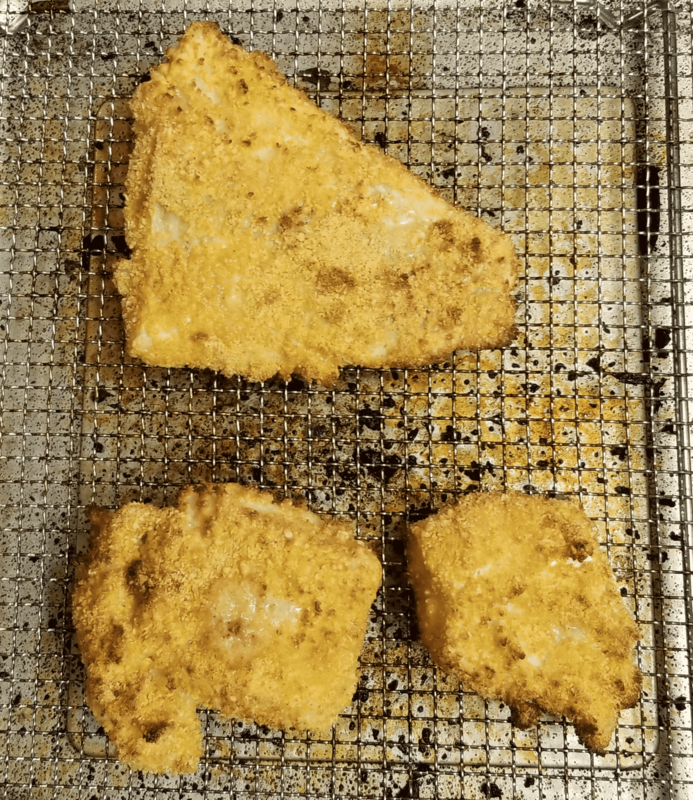 I used my Cuisinart Convection Toaster Oven Air Fryer and the fish came out flaky with a crisp crust. I cannot recommend the Cuisinart enough, I absolutely love it! Overall this is a quick and easy recipe to make. The “breading” doesn't take that long at all. I throw this together for a quick dinner during the week and the family loves it! Preheat oven to 425 F. Cover baking sheet with parchment paper and spray with nonstick spray. Dredge fish in flour mixture, then egg mix, then corn flakes. Place fish on prepared cooking sheet and bake for 10-15 minutes or until fish flakes easily.